Canada eTA 2019 Problems? We Can Help! On September 30, 2016, the Canadian Government implemented a new entry requirement for prospective visitors from visa-exempt countries who are flying into Canada. Known as an Electronic Travel Authorization or eTA, all foreign nationals that do not require a Temporary Resident Visa (TRV) to enter Canada on a non-permanent basis now need to apply for an eTA in order to board an airplane destined for Canada, with the exception of US citizens. The new eTA Canada system will resemble the American Electronic System for Travel Authorization (ESTA), and will enable Canadian immigration authorities to prescreen passengers for admissibility before they arrive in the country by air. Previously, systematic screening of people from visa-exempt nations did not occur until their arrival on Canadian soil, other than individuals who appear on a no-fly list. This new pre-screening regime will save Canada the trouble of having to turn back unwanted arrivals after they have already landed in the country. It costs $7 to apply for a Canada eTA online via credit card, and authorization is typically valid for a period of five years from the day it is issued or until the applicant's passport expires, whichever is first. The following information is required by the Canada Electronic Travel Authorization application: full name, gender, date of birth, place of birth, address, nationality, and passport number. It is extremely quick and easy to apply for an eTA for Canada online, and for those unable to use the Internet it is also possible to apply for authorization by way of a traditional paper application. The Canada eTA program is fairly new, and consequently definitive processing times are not yet available from the Government. Most Canada eTA applications are processed in a few minutes. If your eTA Canada application is not approved within a few minutes, it likely requires further processing and you can expect to receive an email from Immigration, Refugees and Citizenship Canada (IRCC) within 72 hours containing additional instructions. There is no exact timetable for how long an eTA takes before it is approved or declined. Canada eTA pending for a long time? Chances are you will soon be contacted by IRCC and asked for additional information. The standard Canada eTA processing time in such situations is 72 hours, so if you received no response the first day you do not need to panic about the delay. Canada's new Electronic Travel Authorization is designed to help protect the country from potentially dangerous, unwanted or undesirable visitors. In order to do so, Canada eTA questions can ask for personal information such as city of birth, country of birth, passport number, and home address. Questions on the Canada eTA application form can also ask for employment info, including the name of your employer, as well as the amount of funds you have available for your trip. If you do not have enough money in the bank to support yourself during your trip to Canada, you may have your Canada eTA denied. You may also be asked if you have a criminal record, or have ever been arrested or convicted of a crime. Individuals who are criminally inadmissible to Canada can also be denied a Canada eTA. According to Citizenship and Immigration Canada (CIC), an individual may be denied an Electronic Travel Authorization if they "have been convicted of a crime, including driving under the influence of alcohol or drugs (DUI)." This means that foreign nationals with a criminal record may receive a Canadian eTA refusal, especially if the conviction occurred less than ten years ago or involved serious criminality. People can also be refused an eTA for air travel to Canada for security and health reasons. Similar to a criminal conviction, a recent criminal arrest can also result in a declined eTA application. Please note: impaired driving is considered a serious crime in Canada. Consequently, most DUI convictions in USA or drink-driving offenses in Australia or UK can prevent a person from successfully obtaining an eTA. What to Do If You Are Denied an eTA Canada? Immigration, Refugees and Citizenship Canada (IRCC) does not offer a formal appeal process for refused Electronic Travel Authorization applications. Instead, prospective travelers are told to re-apply for an eTA if their situation has changed substantively of if they have new information they wish to submit. If a person has been refused an eTA Canada due to criminality, this means they may apply once again after overcoming their inadmissibility by being issued a Temporary Resident Permit (TRP) or Criminal Rehabilitation (CR). Have a criminal record and require a Canada eTA? Contact our Canadian immigration law firm today for a FREE consultation. Who Needs an eTA to go to Canada? Citizens of the following countries require an eTA to get into Canada by air: Andorra, Anguilla, Australia, Austria, Bahamas, Barbados, Belgium, Bermuda, Brunei, Bulgaria, Chile, Croatia, Cyprus, Czech Republic, Denmark, Estonia, Finland, France, Germany, Greece, Hungary, Iceland, Ireland, Israel, Italy, Japan, South Korea, Latvia, Liechtenstein, Lithuania, Luxemburg, Malta, Mexico, Monaco, Netherlands, New Zealand, Norway, Poland, Portugal, Romania, San Marino, Singapore, Slovakia, Slovenia, Spain, Sweden, Switzerland, Taiwan, Turks and Caicos, and United Kingdom (UK). As of May 1, 2017, citizens of Brazil who have had a Canadian Visa in the last ten years or who presently hold a nonimmigrant visa in the United States are also eligible to apply for an eTA. Citizens of all other countries, excluding those holding US citizenship or a Green Card, will require a Canadian Visa in order to enter the country. How Will Canada Know If I Do Not Get an eTA? In addition to the new Electronic Travel Authorization program, Canada is implementing an Interactive Advance Passenger Information (IAPI) system that allows the Government to confirm with airlines whether travelers that need an eTA have been issued one. People that try to board an aircraft destined for Canada without their requisite eTA will not be permitted past the gate and risk missing their flight. Do People Actually Get Denied Entry to Canada? Although Canadians are extremely friendly, they still take their border security very seriously. In 2016, the Canada Border Services Agency (CBSA) refused entry to more than 30,000 foreign nationals for various reasons including criminality. If you have a criminal record that makes you inadmissible to Canada, we strongly encourage you to overcome your inadmissibility via a Temporary Resident Permit (TRP) or Criminal Rehabilitation before you book a flight to Canada and risk being denied an eTA. Why Did Canada Implement This New Authorization System? Canada's new eTA program is part of the country's commitment to the USA-Canada Perimeter Security and Economic Competitiveness Action Plan. This new strategy will ensure a common approach between the two nations towards screening all international visitors from outside of North America. Does Canada Share Information with Other Countries? In an effort to improve security, Canada shares information with select foreign governments including criminal database information as well as visa and immigration information. If you read the fine print of the eTA application consent and declaration, Citizenship and Immigration Canada states that information provided may be shared with foreign governments in accordance with subsection 8(2) of the Canada Privacy Act. Can I Lie on the eTA Canada Application? Entering false information when you apply for a Canada eTA is a terrible idea. Not answering the questions honestly can easily result in a border denial, and can even lead to a person being barred from entering Canada for a period of time. Misrepresentation can also affect future Canadian immigration eligibility. For example, an individual with a drunk driving conviction who answers "no" when asked on the eTA application if they have a criminal record could later be denied permanent residency in Canada. 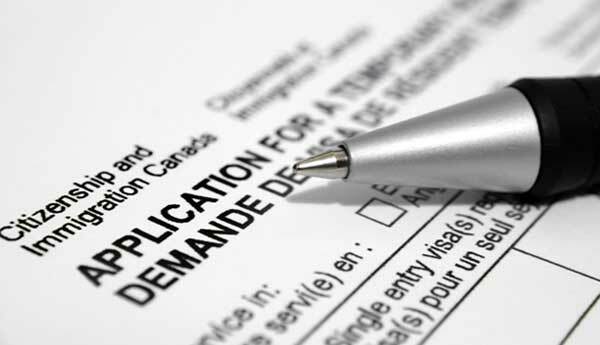 Canadian citizens are not eligible to apply for a Canada eTA. Consequently, if you are a citizen of Canada and a citizen of a visa-exempt country (dual citizen), you can no longer fly to Canada using your non-Canadian passport. All dual citizens of Canada flying into the country must use their Canadian passport in order to board their flight. Can a Lawyer Apply for an eTA for Me? Authorization for travel to Canada is exceptionally easy to apply for online, so there is really no reason to have a lawyer do it for you. This being said, if for some reason you wish to have a Canadian immigration attorney apply for an eTA on your behalf, we can certainly offer this service to clients although we strongly encourage you to try it yourself first. Obtaining a Canada eTA with a criminal conviction or criminal arrest on your record typically involves petitioning the Government to overcome your criminal inadmissibility. The Canada Criminal Rehabilitation and Temporary Resident Permit applications are complex legal procedures, so retaining the services of a professional in order to overcome Canadian criminal inadmissibility can make a lot more sense than having a lawyer fill out the eTA form. A Canadian immigration attorney can also help with various other Canada eTA problems. For example, potential visitors can have their Canada eTA refused due to a previous immigration violation such as an overstay. eTA Canada problems can also include messages stating that "no matches were found using the criteria provided." Impaired driving is considered an excludable offense under Canadian immigration law. Consequently, a drink-driving violation in Australia, New Zealand, Germany, Japan, or the UK can render a person criminally inadmissible to Canada and ineligible for an eTA. Even if the DWI is not considered a criminal offense where it occurred, it is the equivalent offense in Canada that determines admissibility. US Green Card holders, or a person living in the United States on an H-1B Visa or Student Permit, can be denied a Canadian eTA if they have ever received a DUI while in the US. Need a Canadian eTA but have a criminal record? eTA not approved? Call us today for a FREE assessment!